Ford is renowned in the UK for producing numerous cars that are capable and fun. Over the years, the trusted manufacturer has provided families with some of the most comfortable hatches, city cars and saloons and here at Trade Price Cars, we keep our Ford vehicles in top condition. 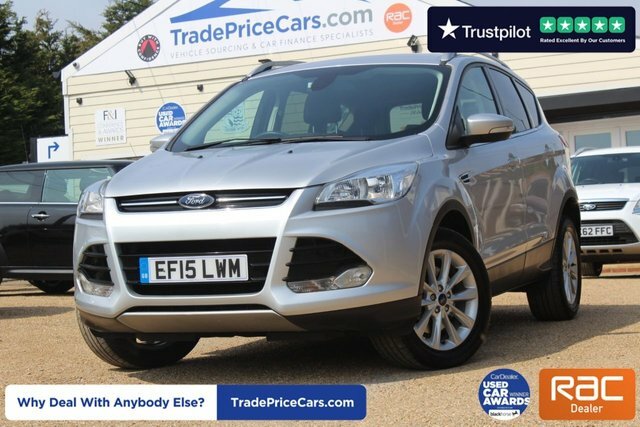 Whether you would like a Ford Ranger that is capable of tackling the most challenging of roads, or perhaps even a Focus family hatch, Trade Price Cars has got a quality used Ford to suit every lifestyle. Get in touch with our team of friendly and professional staff for more information about our latest stock, or pay us a visit in Essex at your convenience. We understand that buying a used car can be a daunting process, and we pride ourselves in making it smooth and simple. Call us for more information about our services or to book a test drive in one of our quality used Fords.